Published : Aug 25th, 2012 FlashFind the enemy or the target and destroy them using explosives. 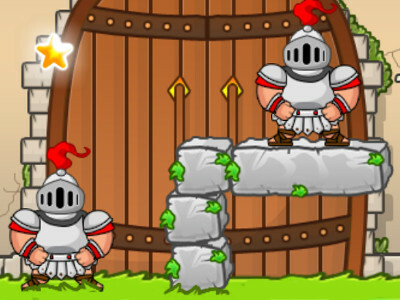 Published : Jul 25th, 2013 FlashHelp our hero to overcome obstacles and defeat a powerful enemy. Published : Apr 24th, 2013 FlashGet the clowns out of the town and save the nice day. Published : Jun 4th, 2012 FlashChoose a zombie gang and win the war. Published : Nov 17th, 2012 FlashEvil monsters want to attack your kingdom and you have to stop them. Published : Nov 4th, 2012 FlashIn this fantastic strategy game you have to try to defeat your enemy. Published : May 22nd, 2014 FlashDefend your king from a black army. Published : Apr 18th, 2013 FlashHelp the soldier fight for his life in enemy territory. Published : Oct 15th, 2015 FlashThis fun game takes place on an unknown planet where you have to face many enemies. Published : Jun 28th, 2012 FlashRemove mummies using the bombs. Published : Oct 23rd, 2015 FlashOnce upon a time this was a flourishing city full of happy people but something has changed. Published : Oct 5th, 2015 FlashTry to get back the stolen crown. Published : Jun 4th, 2015 FlashIn this logic game you fight enemy units on various objects. Published : May 14th, 2015 FlashMonsters are back again in the third installment of this successful game series. Published : Aug 4th, 2014 FlashTry to detonate objects and astronauts. Published : Jul 16th, 2014 FlashA simple game with a simple objective. Shoot monsters! Published : Jun 22nd, 2014 FlashYou play as a firearm, which has to destroy enemies. Published : May 20th, 2014 FlashThis game explores the flying dinosaur who must fly through storm of enemies. Published : Apr 23rd, 2014 FlashShoot the cannon balls and hit the objects in front of you. Published : Dec 29th, 2013 FlashHelp the king defeat enemies and find a new place for his subjects. Published : Dec 19th, 2013 FlashHelp our hero to protect the treasure from intruders. Published : Nov 5th, 2013 FlashYour town is in danger from enemies out of the sky, so they must be destroyed. Published : Sep 26th, 2013 FlashHelp our hero jump over all the obstacles and destroy all the enemies. Published : Sep 10th, 2013 FlashUse the huge laser to kill all the monsters. Published : Aug 18th, 2013 FlashDestroy all the walls with cannon, built by Da Vinci. Published : Aug 2nd, 2013 FlashThe world needs you again, since the creatures are spreaded again across the planet. Published : Aug 1st, 2013 FlashHelp clean the world from dangerous people who almost destroyed it. Published : Jun 28th, 2013 FlashHelp the King to deal with enemies with the help of a cannon. Published : Jun 10th, 2013 FlashGet behind enemies and eliminate them quietly. Published : Jun 6th, 2013 FlashLure the zombies on a fresh brain, so you can easily destroy them. 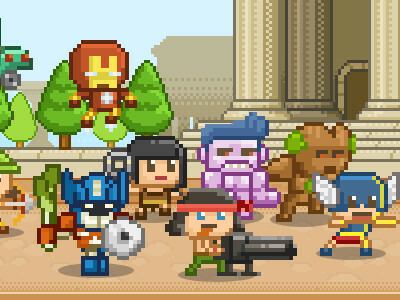 Published : Apr 27th, 2013 FlashCreate new soldiers and destroy the enemy walls before they destroy yours. Published : Apr 26th, 2013 FlashTrain your soldiers and send them to the enemy base. Published : Apr 1st, 2013 FlashIn the second Underground War you will fight under the ground.